If you are an active senior and are looking for an adult diaper option for yourself, then you have already made the right decision. There are many diapers, from light-weight thin ones that no one will ever know you are wearing to heavy duty ones that can absorb a lot. If you are looking for the right diaper for a patient suffering a temporary illness or recovering from an operation, again using an adult diaper is a very good option. However, if you are here to find the right diaper for a patient who has very little mobility or is bed-ridden, it is important to realize that in most cases this is a path of no return. Once a patient starts wearing diapers ( just during the night or 24 x 7), it will be very difficult to revert to a no-diaper situation. The patient gets used to using the diaper, so they slowly lose their ability to communicate their need to go and eventually their bladder control decreases. Additionally, the reduced movement (due to the avoidance of getting up and being taken to the toilet or sitting on a portable commode) leads to further limitation of movement. So before you start using adult diapers in such cases, please make sure you have delayed this eventuality for as long as possible. The first thing to note about adult diapers is that they are largely unisex in design, meaning they are the same for both men and women. 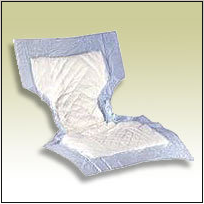 Disposable adult Diapers are primarily of two types- the traditional nappy type & the pull on type (also called adult briefs and adult pants). Choosing between the two types is usually determined by the condition of user. The pull-up type is for active persons who can wear their own diapers while the nappy type is better suited for people who require assistance in putting on a diaper. Removal of both types of diapers is fairly straight forward. For the pull-up type, you can remove the diaper either by pulling it down or by tearing at the sides and removing it. For the nappy-type, once the sticky-tapes are removed, the diaper can be easily removed. When you are a first time user of adult diapers, it is very important that you find an adult diaper that is the right size. It has to fit snugly to ensure zero leak and at the same time, is large enough so that you don’t have to stretch the sticky-tapes too far (for nappy type diapers), leaves enough space and does not bite into the skin or hinder blood circulation. Adult diapers come is familiar sizes such as Small, Medium, Large, etc., but due to a lack of standardization of sizes, these labels can be misleading. To complicate things further, some of the sizes refer to hip sizes and other refer to waist sizes. In addition, with age, for most people the waist disappears and more weight seems to settle in the hip area. To find your size, take the larger of your hip size(around the hip bone) and waist size (at the level of your navel). Given all these complications, it may be necessary to try out one or two sizes before one can figure out the right one. To get you started on your hunt for the right adult diaper, please find below the sizes and measurements for the different brands we sell at Old Is Gold Store. In the table below, regular refers to nappy-type diapers and pull ups refer to the elastic underwear type diaper that you can slip on. 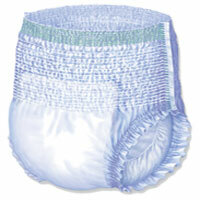 Typically, the nappy type diapers are less expensive than the pull up type ones.